There are many misused words in the English language. Through repetition, the misuse becomes more widespread. 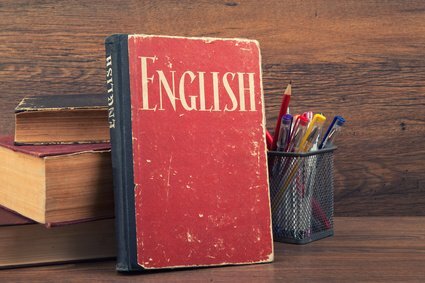 Whether you’re trying to write a great essay or report, nail an interview or simply impress your readers, proper use of the English language is essential. Incorrect use: I was laying on the beach. Correct use: I was lying on the beach. To thaw means to unfreeze something. So unthaw, technically means to freeze. Hysterical is to be uncontrollably emotional. Hilarious is funny. Anarchy is a political term that means the absence of government. It’s often used in the place of “crazy” or “chaotic”. Momentarily means something has the span of a moment. Incorrect use: I will be with you momentarily. Correct use: I will be with you shortly. Anniversary means once per year, “annus” coming from the Latin for “year”. Therefore it’s impossible to celebrate a six-month anniversary. Incorrect use: Apples are different than oranges. Correct use: Apples are different from oranges. Electrocute means to be killed or to kill someone with an electric shock. If you received an electric shock and didn’t die, then you were shocked, not electrocuted. Literally is often used incorrectly and somehow has become a form of hyperbole. “You’re literally killing me,” means that someone is actually killing you instead of what you probably mean which is that they’re hurting you or causing you extreme stress. Disinterested means that something holds no value or importance for you. Uninterested means that it doesn’t hold your attention. “Espresso” is the correct spelling of the strong coffee drink. Incorrect use: I could of gone to the store for you. Correct use: I could have gone to the store for you. Travesty actually doesn’t mean tragic at all. It means absurd or ridiculous. It can also be used as a verb “travestying” which means to make a mockery of somebody or something. Ex: The play was banned for travestying the ruling political party. Capital is a the city where the seat of government is located. Capitol is the name of the building where the government members assemble. Bemused means to be confused whereas amused means to be entertained. Affect means something has been influenced by something else. Ex: She’s really been affected by losing her job. Effect means something is a result of something else. Ex: Losing her job has had a negative effect on her. A complement is something that makes something better or more perfect. Ex: A glass of pinot noir can complement a steak dinner. A compliment is something that expresses admiration. Ex: She complimented her on her well-written article. This word doesn’t actually exist. Those who use it mean to use the word “regardless”. Peruse means to examine thoroughly. Ex: She perused the report for hours, looking for evidence to back up her suspicions. It’s often mistaken to mean skim. Ex: He skimmed the book in a matter of minutes which caused him to fail the test. Many people erroneously tag an “s” onto the ends of these words. Correct use: I walked toward the building./ I didn’t want to go to the party anyway./ I’ll see you afterward. The “d” is often erroneously left off the end of this word. Accept means to receive or to agree to something. Ex: I accepted the job offer. Except means that something is excluded. Ex: I would like to try on all of the dresses except for that one. When someone emigrates, they are leaving their home country. Ex: I emigrated from the United States to Brazil. When someone immigrates they are moving to another country. Ex: Many Mexicans immigrate to the United States. Than is used to compare two words. Ex: I am taller than my brother. Then is used in reference to time. Ex: I didn’t want to see him then, but I’m ready to now. These three are often confused. There is used to determine place. Ex: Put the books down over there. Their is a possessive pronoun used to show ownership. Ex: Their car is over there. They’re is a contraction of they + are. Ex: They’re walking to their car over there. These two suffer the same fate as there, their and they’re. Your is a possessive pronoun used to show ownership. Ex: Your dog is chasing my cat. You’re is a contraction of you + are. Ex: You’re a very interesting person. Yet another possessive vs. contraction issue. Whose is a possessive pronoun used to show ownership. Ex: Whose bicycle is that? Who’s is a contraction of who + is. Ex: Who’s going to the show? All right is the correct spelling. “Alright” is an incorrect spelling of “all right”. Beside means next to. Ex: Come and sit beside me on the couch. Besides means “anyway” or “also”. Ex: Besides, the only reason he wants that job is for the corner office. Cite means to quote a source. Ex: She cited the leading expert on this subject. Site is a location. Ex: The site of the shooting has been roped off by the authorities. This entry was posted in General Writing and tagged misused english words, writing mistakes on December 28, 2014 by Steve Aedy. 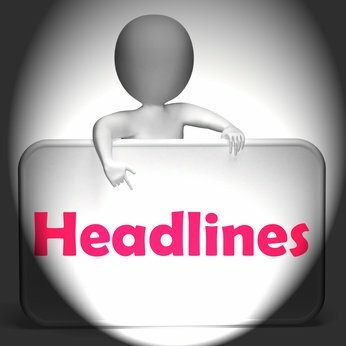 Are headlines really that important for a successful online presence? Well, according to the opinions of the experts, a well written headline is absolutely mandatory for engaging your audience. They are your one and only chance of making a good first impression, one that will induce your readers to continue, sentence by sentence, right through to your call to action. Online readers are a savvy bunch, with amazing abilities to filter any material irrelevant to their quest. If your headlines don’t immediately convey the benefits of reading your post, they’ll quickly move on to content that holds the promise of greater value. And with no readers, you can’t share your ideas, no matter how great they may be. Effective headlines are based on market formulas that have been tested by industry giants over the years. So, to become proficient it’s a simple matter of study and then adapting an outline to your specifics. Sounds easy, right? 1. Treating your headline as an afterthought. A great headline takes time, attention and focus. It needs to convey an idea, emotions, conflict and resolution. An outstanding headline is bloggers’ poetry, concise and evocative, whetting the appetite for more with promises of satisfaction. By tailoring your content to fit the promise in your headline, you have the benefit of writing content specifically for keeping that promise, making the content focused, on topic and compelling. 2. Are you trying to be completely unique and original with every headline? If so, please stop. This is an exercise that would stretch even the most creative of writers, and there’s simply no need. Headlines that work are based on tried and true methods that have been tested over and over, and continue to get great results regardless of the medium used. Make your own compilation of swipe files for ready reference, and learn what makes an effective headline effective. Here are a couple of very helpful reference guides available for free download: Brian Clark’s Magnetic Headlines from copyblogger.com and Jon Morrow’s Headline Hacks report from boostblogtraffic.com. 4. Are your headlines too passive? If they are, then buff up for greater impact with an “active voice and strong present-tense verbs.” Neil Patel’s infographic on Hubspot gives a formula for creating effective headlines that demonstrates this principle very well. To establish the perceptual position as an authority in your niche, learn to master the ‘list’ and ‘how to’ headlines. How do these types of posts bestow authority? List and how to posts are formatted to educate or entertain in a quick and easy manner, so if your content matches the headline’s promise you can quickly establish expert status. Plus, as Chris Lake at eConsultancy points out, if these posts are of value they can become “opinion magnets” and “share worthy”; a superb way to be seen as an authority. Overexposure to the fantastical, adjective driven headline has caused a certain amount of reader scepticism. Ideally, the claims in your headline should be exciting, but believable. Provide useful content relevant to your readers’ needs and wants. If you’ve promised excitement, don’t let them down with empty content. 7. Headlines of vague benefit. If headlines are too familiar, carbon copies of others in your niche, your readers programmed reading habits will simply filter them out. Your headline should have a unique twist reflecting your personality or angle to set it apart from everyone else’s. Neil Patel and Joseph Putnam of Quicsprout offer a good explanation on how to make your headlines more distinctive in their Definitive Guide to Copywriting. To be compelling, headlines must be specific. Let your readers know that your headline’s offer is what they’re interested in. If content is king, specificity is queen – they go together hand in glove. 10. Headlines with no sense of urgency. If you can create a sense of urgency in your headlines, you may be able to convince your audience to continue reading so they don’t miss out on what you promise. However, use this tactic with some discernment. Not all headlines need urgency to work well, and for those that do, discretion is advisable to maintain credibility. A headline that urges action unnecessarily can be seen as empty hype, making it less likely to be successful. The goal of all headlines is to draw the reader into your post and engage them all the way to the conclusion. And when you can do that on a consistent basis, you’ve mastered the art of the compelling headline. This entry was posted in General Writing and tagged headlines, writers, writing mistakes on October 10, 2014 by Steve Aedy.